Sony has just introduced an exciting new addition to its E-mount mirrorless camera line-up – meet the Alpha A6400. The A6400 brings tech found in Sony's full-frame line-up, and adds it to a compact, lightweight APS-C camera. The new camera boasts the "world’s fastest" autofocus, whilst also introducing the new advanced ‘Real-time Eye AF’ and ‘Real-time Tracking’ capabilities, and a slew of features aimed at vloggers. But before we get onto that, let's take a look at this autofocus technology. The A6400 features 425 phase-detection AF points and 425 contrast-detection AF points that cover approximately 84-percent of the image area. This high-speed, high-performance-tracking AF system is paired with a new-generation BIONZ X image processing engine that together allows the camera to acquire focus in as little as 0.02 seconds. The camera also introduces an advanced ‘Real-time Eye AF’ which employs artificial intelligence-based object recognition to detect and process eye data in real time, resulting in improved accuracy, speed and tracking performance of Eye AF. Also debuting on the α6400 is Sony’s ‘Real-time Tracking’. This mode utilises Sony’s latest algorithm including Artificial Intelligence based object recognition and processes colour, subject distance (depth), pattern (brightness) as spatial information to ensure that all subjects can be captured with excellent accuracy. Of course, Sony has also focused on improving image quality, equipping the camera with a 24-megapixel APS-C image sensor, as well as transferring many of the image processing algorithms from Sony’s newest full-frame cameras, greatly suppressing noise while preserving resolution and improving texture depiction. The main focus for Sony is video quality, however, and the A6400 is capable of capturing detailed 4K footage. Focusing during movie shooting is fast and stable thanks to upgraded Fast Hybrid AF technology, which keeps the subject in constant smooth focus no matter the scene, and even if an object crosses in front. Sony claims this advanced technology makes it an ideal camera choice for many vloggers and video creators that are regularly creating and uploading content online. Like the sound of Sony new camera? 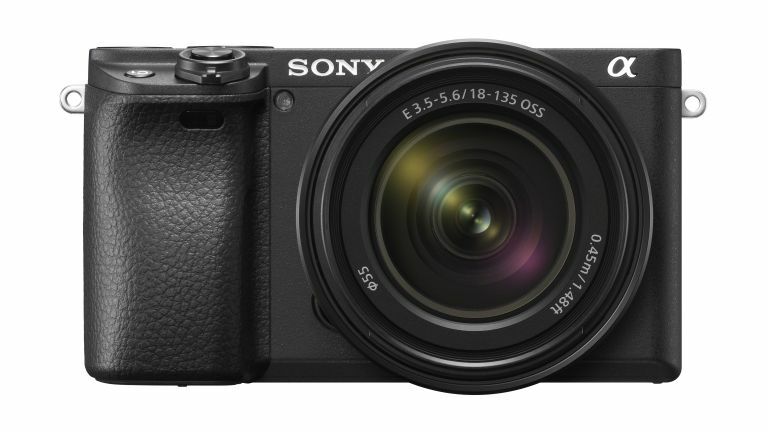 The A6400 will ship in February priced at approximately £950. It will also be offered as a kit with the SELP1650 lens for around £1,000 or in a kit with the SEL18135 lens for £1,300. Going on a last minute get away? Got that all-important business trip coming up? Breeze through the airport and make your journey quick and easy with our list of the best carry-on luggage.